Do you know the hidden cost of your food waste? Home / Blog / Do you know the hidden cost of your food waste? 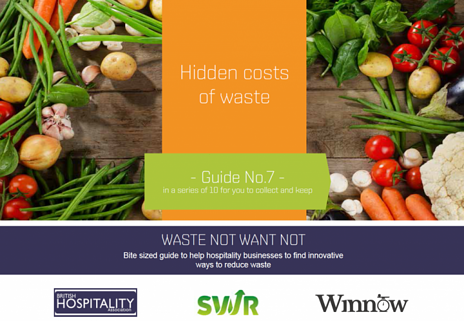 In the latest edition of the Waste Not Want Not guide Winnow, in collaboration with SWR and the BHA, explores the inputs used at every stage of the food supply chain and the costs associated with food waste in the chain. When we throw millions of tonnes of uneaten food into the bin each year, we also have to give a thought to the hidden cost of such waste. Often food waste is associated only with disposal costs and over the past three years we came across different misconceptions about waste. There is also other expenditure you need to consider including food purchase and labour which account for nearly 90% of the cost of food waste. When it comes to cost of food waste it is important to understand where waste occurs and what is the true cost of it as some foods are a lot more resource intensive than others. Each stage of the supply chain uses: water, energy, time, land, manpower, fertilizer, fuel, packaging, money and transport. When food is wasted the resources used across the supply chain are also wasted. As such, any improvements to reduce avoidable food waste puts savings straight onto your bottom line, and that’s at every stage of the process, whether its preparation, spoilage or plate waste. Check out our new guide to find out the hidden cost of your waste and practical solutions to help your business see the profit and environmental impact of your supply chain decisions.